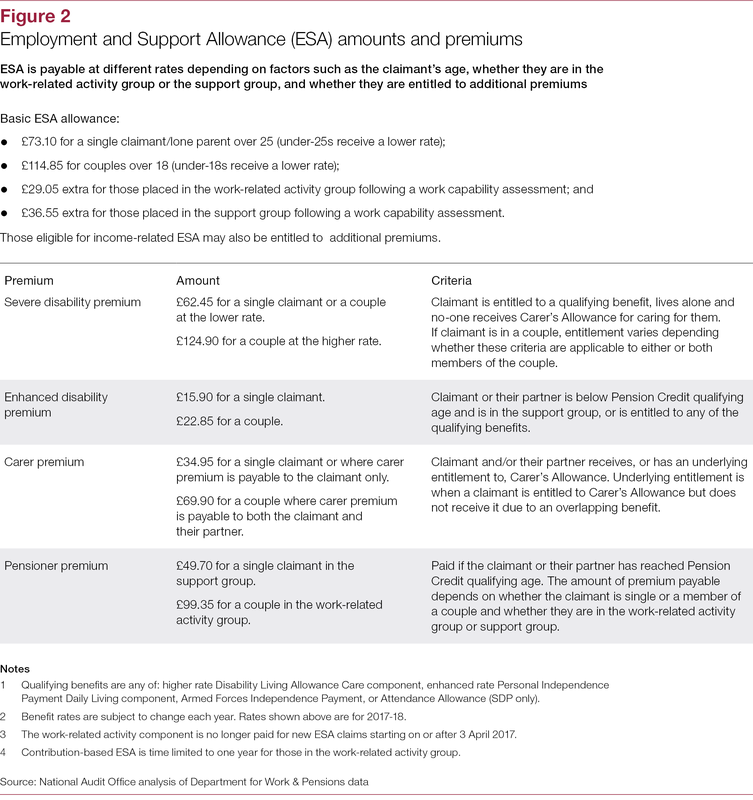 Employment and Support Allowance (ESA) is a benefit that the Department for Work & Pensions pays to people who have limited capability to work because they are disabled or ill. 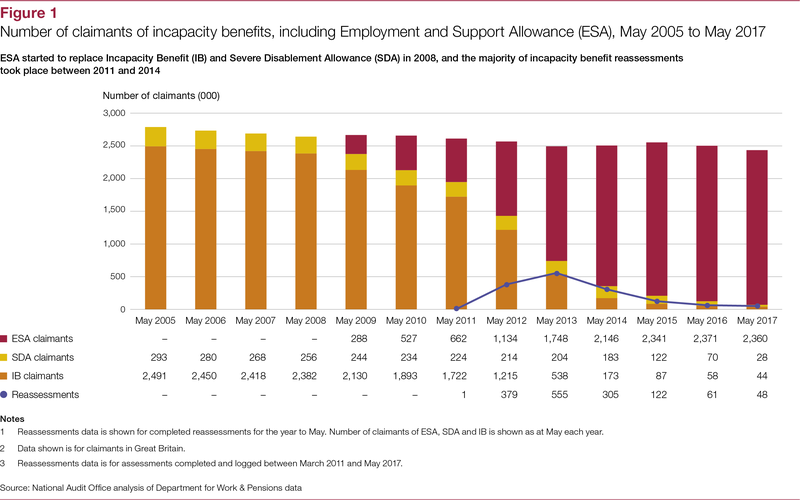 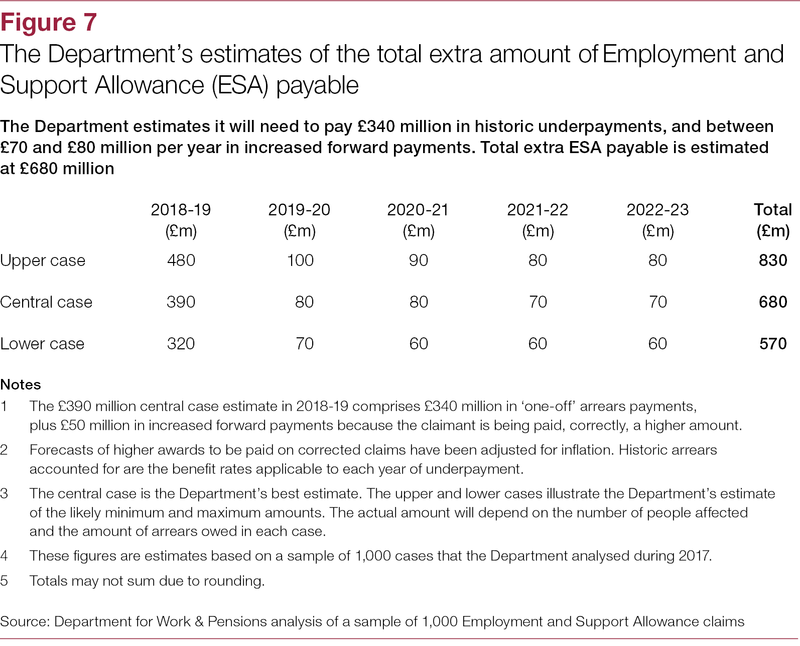 In 2011 the Department started transferring those assessed as eligible onto ESA from older-style benefits such as Incapacity Benefit, Severe Disablement Allowance and Income Support. 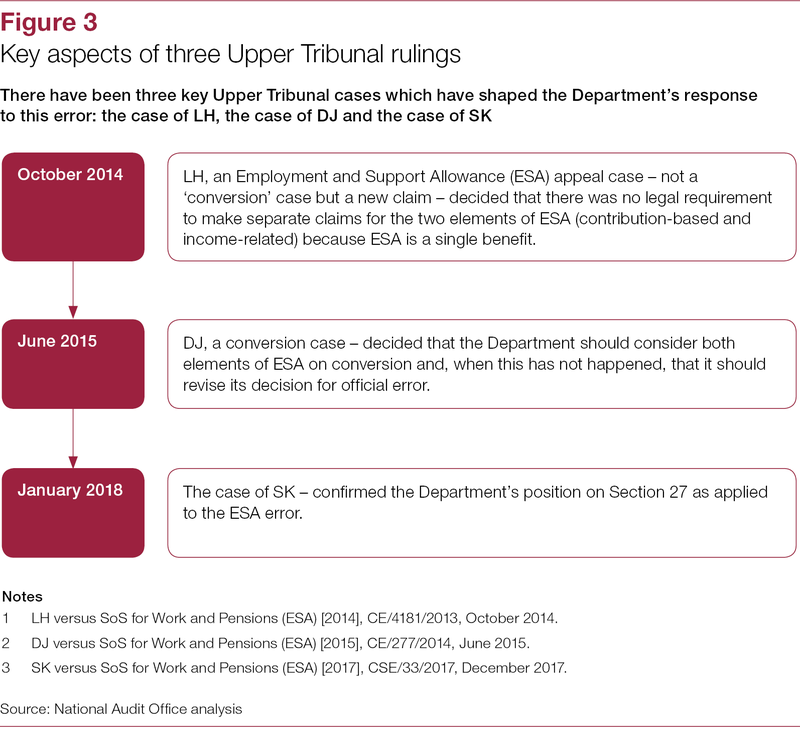 This investigation covers a single, major cause of underpayment error in ESA. 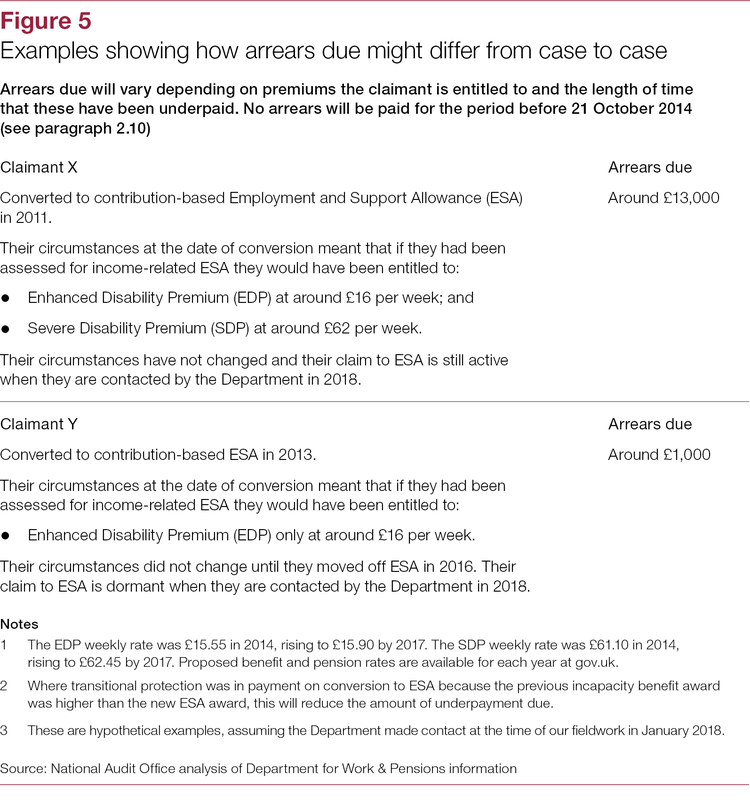 This error relates to people whose existing benefit claim was converted to ESA and who were entitled to income-related ESA but were only awarded contribution-based ESA. 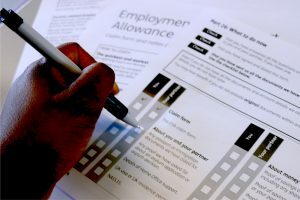 This caused people to miss out on premium payments. 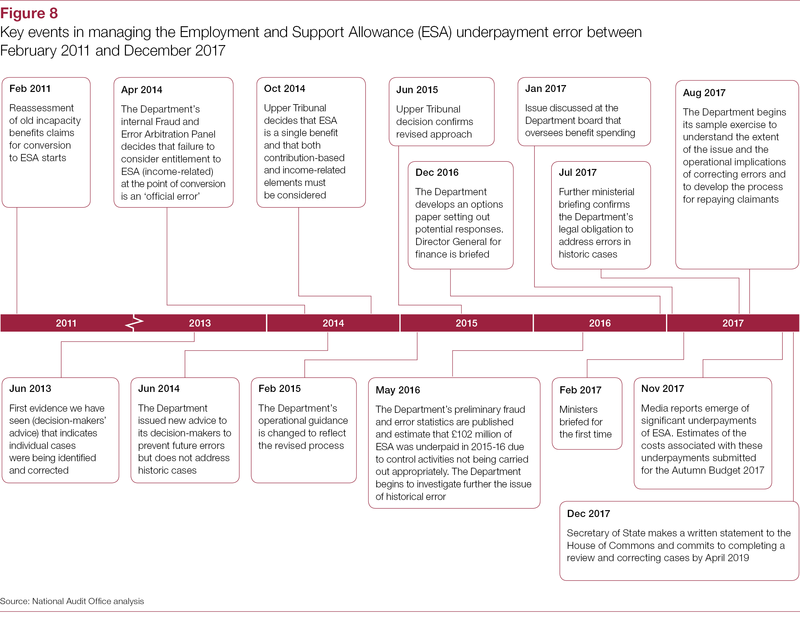 We conducted this investigation because the incorrect payments referred to in this report are a major single source of error that the Department has not addressed over several years. 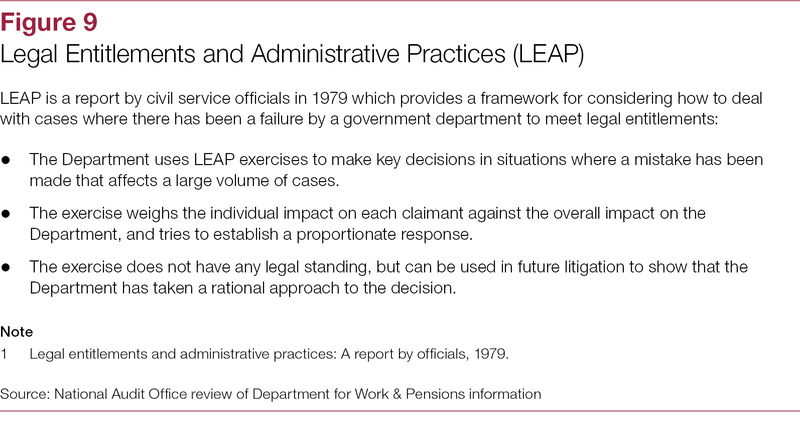 outlines the Department’s management of the issue, including: how and when the issue was discovered; and how information was acted upon. 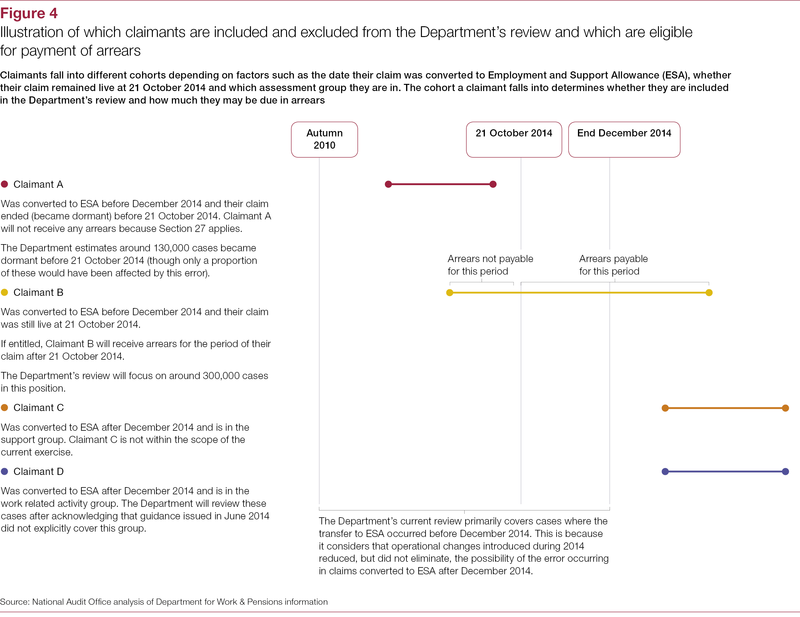 We consider that the events set out in this report emphasise how important it is that the Department continues to improve its approach to identifying and tackling fraud and error. 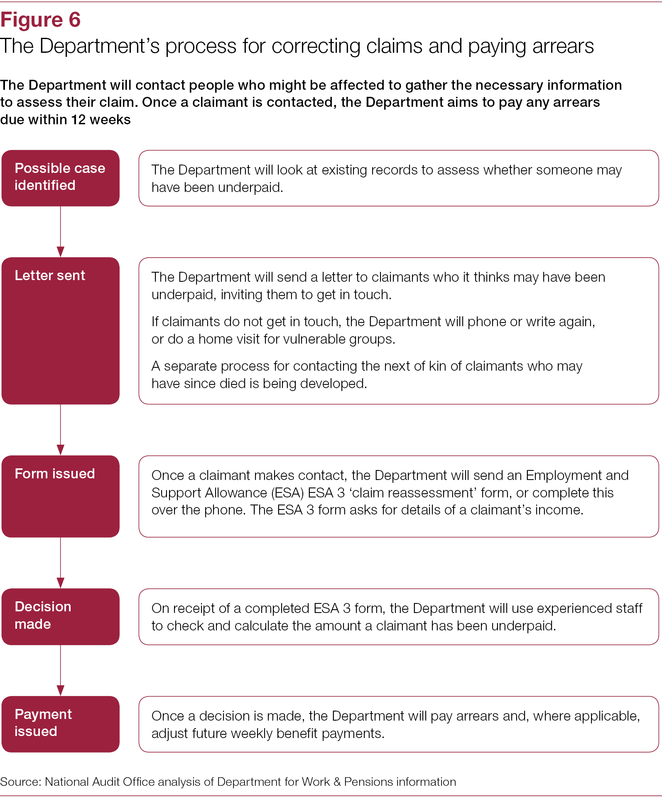 In particular, it should use data and intelligence to investigate the root causes and take prompt action, on both underpayments and overpayments.